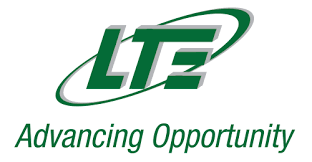 LT Environmental, Inc. (LTE) is seeking an Environmental Technician for our Midland, TX location. The Environmental Technician will primarily be responsible for performing groundwater sampling, soil sampling, construction stormwater inspections, SPCC inspections, due diligence inspections, environmental drilling oversight, and excavation oversight. This is a full-time position with typically 80-90% of time spent in the field. LTE maintains a fleet of trucks for fieldwork and travel to project sites. Perform fieldwork that may include groundwater and soil sampling, environmental site assessments, excavation oversight, remediation, and compliance inspections (stormwater, SPCC, LDAR). Communicate regularly with Client Managers, Group Managers, and Project Managers located in Carlsbad, Midland, Durango, and in other LTE offices via cell phone, e-mail, and video conference. Basic knowledge of environmentally-related field, such as hydrology, soils, etc. An interest in pursuing an environmental career based. Ability to travel locally, work independently, and work outdoors year-round.